Arsenal need to bolster their midfield and show more grit to challenge for the Premier League title, says former Gunners midfielder Michael Thomas. The north London club, who are seven points behind league leaders Chelsea after seven games, have not won a trophy since the FA Cup in 2005. "Sometimes they are a bit brittle and haven't got the mindset to last the whole season," Thomas told BBC Sport. "I don't think they have the steel to win major trophies." Thomas's dramatic injury-time goal against Liverpool at Anfield helped Arsenal win the championship under George Graham in 1989. They have been champions four times since, including three wins under current boss Arsene Wenger, in 1998, 2002 and 2004. 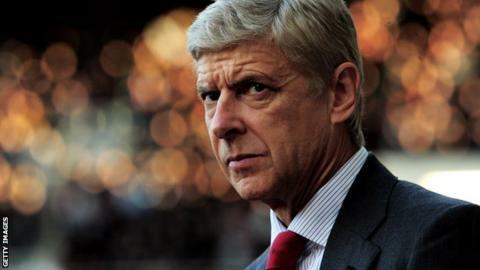 Wenger has also guided the side to four FA Cup victories, and a Champions League final. Thomas says the £15m summer signing of Santi Cazorla from Malaga is a great addition to the midfield, but believes the side still miss the presence of a player like former Arsenal great Patrick Vieira. "Cazorla is a fantastic player [but] I think they need someone to shut the gap - a holding midfielder in the style of Patrick Vieira to run the show. Those sorts of players are hard to come by," said Thomas, who was speaking at an event to mark 90 years of the Football Pools. "Arsenal play great football until, say March. They'll be up there. But when the serious side kicks in like the quarter-finals of cups and to win major honours, that's when I think they are a let-down. "Manchester United, Chelsea and Manchester City will go to the end and contest things. "It's all about your mentality. I don't think Arsenal are hardened enough to win a title. It's down to Arsene Wenger to change that. They are always going to play great football, but there is something missing from the jigsaw. "They need to start winning trophies to give them the belief they can do it. Once they win that first trophy as a young team hopefully they can go on to win more honours."